Written by Victoria, from the Bloggers Association of Kenya. The Kenya Internet Governance Forum celebrated 10 years of internet governance in the country. The forum always focuses on bringing in new voices and ideas from individuals who understand ICT globally and in Kenya making processes, to ensure the debates and discussions held are consistent and continuous. The KIGF week held a Youth Internet Governance Forum for the first time as well as the School of Internet Governance. The first discussion held at the forum focused on Technology Use in the upcoming elections. The role and contribution of technology in the elections were the main topics of the discussion. Citizens expect elections to be transparent and accountable. The use of technology in elections ensures these are achieved. In the upcoming general elections, Chris Musandu of IEBC clarified that the election process was semi-electronic since the method of casting a vote is purely manual. The electoral process cannot fully depend on technology which only complements this process making it free and fair. The issue of fake news or alternative news was also a topic in the use of technology in elections discussions. People who run these platforms earn a living from it. Therefore, stopping this news from spreading can be challenging. However, an individual who propagates alternative news and is charged for this offence faces a 1 million Kenyan Shillings fine or a five-year jail term. The second topic of discussion was on enhancing cyber security in Kenya. Cyber threats have become rampant over the years. The threats can face any individual including government entities. Most individuals in the ICT industry face challenges pertaining to cyber threats but prefer to face them alone without telling others. This should otherwise be avoided and the knowledge and information learnt should be shared with other concerned parties. Concerned parties in the ICT sector should work more on collaboration since individuals who disseminate cyber threats are increasing and there needs to be collaboration and togetherness to fight these threats. However, today, people are targeting customers instead of the system. This is a form of social engineering, which uses fear and urgency to get information from customers. The case of online bullying was also mentioned. This particular subtopic focused on protecting children from online content that is harmful to them from online games, online betting to being targeted on their social media platforms. This includes gaming channels like the previous ‘Blue Whale’ that led to the death of a teenager in Kenya. Education and awareness on online use are therefore important to not only the children but also the teacher, parents and guardians because it is everyone’s responsibility to protect them. The next topic of discussion was on how to safeguard free speech and privacy online, especially, in the electoral context. How many times have we heard or read about the hate speech and online defamation particularly targeted at politicians this year? Are there laws and regulations that bind the use of these words? We all need to be responsible while using online platforms. The public should also be well informed on what hate speech is and how they pose a threat to the country considering the fact that freedom of expression and free speech are constitutional. The election is a very competitive contest where individuals are seeking power, how they communicate on online platforms should be well monitored if they are propagating any certain threats. Information controls was the final topic of discussion for the day. The question about who is responsible for Internet control was raised. Freedom is not absolute and everyone is responsible for enjoying these freedoms because when we choose to publish or tweet we have chosen to share our opinions. The government assured us that there would be no internet shut down during the upcoming elections. It was pointed out that, an internet shutdown would lead to the loss of investor confidence to a country besides the loss of revenue, which is measured to a country’s GDP. There are many harmful websites on the internet and we cannot be able to have control to all of them. Therefore, we have to be responsible to ensure we always use the freedom we have online to achieve the best in aspects. There also need to be trust within the government and the people, because if we are not truthful, there will not be any trust. There is also a place for everyone in the ICT ecosystem and we should all be involved in keeping it safe for everyone. 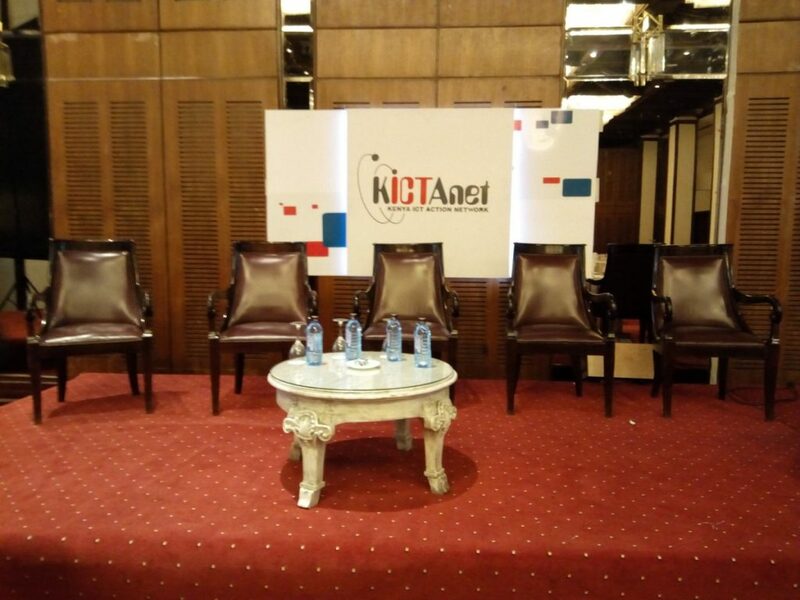 The Kenya Internet Governance Forum was a success. It was not just a social event but also an informative event full of discussions from the panel and the audience alike.